Having a Bible that can travel anywhere-in a briefcase, purse, backpack, glove compartment, or computer case-is especially helpful in these busy times, which is why the ESV Personal Size Reference Bible is ideal. 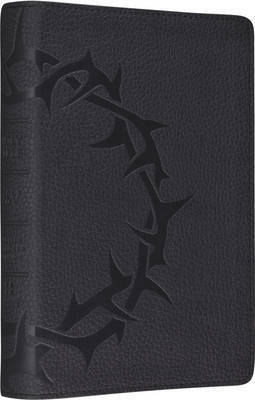 Larger and more readable than the ESV Compact Bible but not quite as big as the ESV Thinline Bible, this version is just right for men, women, and students on-the-go. They will appreciate its variety of cover options too. The scriptural text is conveniently offered in a user-friendly, single-column paragraph format that allows it to be read like a book.